... he was 94 when he died from congestive heart failure. Born in Louisville, Kentucky, jazz vibraphonist, percussionist, bandleader and actor, Lionel Hampton learned to play the xylophone and drums in the 1920s. He moved to California in 1927, playing drums for the Dixieland Blues-Blowers. In 1930 Louis Armstrong came to California and hired the Les Hite band, asking Lionel if he would play vibes on two songs; he did and popularized the instrument ever since. During the early 1930s he studied music at the University of Southern California. In 1934 he led his own orchestra, and then appeared in the 1936 Bing Crosby film "Pennies From Heaven" alongside Louis Armstrong, wearing a mask in a scene while playing drums. In November 1936, the Benny Goodman Orchestra came to Los Angeles, and Goodman went to Hampton play. 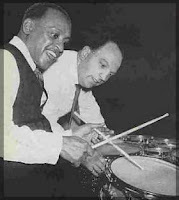 Goodman asked Hampton to join the Benny Goodman Trio, made up of Goodman, Teddy Wilson, and Gene Krupa, expanding it into the Benny Goodman Quartet. The Trio and Quartet were among the first racially integrated jazz groups to record and play before wide audiences, and were a leading small-group in an era when jazz was dominated by big bands. Lionel ranks among the great names in jazz history, having worked with a who's who of jazz musicians, from Benny Goodman and Buddy Rich to Charlie Parker to Quincy Jones. Among the many honors he has received, in 1984 he received the Jazz Hall of Fame Award from the Institute of Jazz Studies, and In 1992, he was inducted into the Alabama Jazz Hall of Fame. 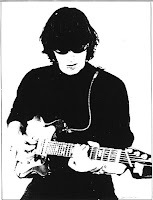 August 30: Sterling Morrison, guitarist and bassist for Velvet Underground died on this day in 1995. He died two days after his 53rd birthday from non-Hodgkin's lymphoma. Holmes Sterling Morrison, Jr. was an original member of the rock group The Velvet Underground. Besides guitar and bass, he also sang back-up vocals. Morrison met Lou Reed - another founding member of Velvet Underground, met at Syracuse University. In 1965, Morrison, Reed and John Cale teamed up to form Velvet Underground in New York City. The name The Velvet Underground came from a book about the secret sexual subculture of the early '60s by Michael Leigh. In 1971 Morrison earned a Ph.D. in medieval studies from The University of Texas at Austin while the band spent the summer in Kansas City. When it was time for the group to leave for New York, he carried an empty suitcase to the airport and at the departing gate told the others he was leaving the band and staying in Texas. in the 1980s, Morrison left his academic career to become the captain of a Houston tugboat. In 1992, the core Velvet Underground line-up of Reed, Cale, Morrison and Tucker decided to reform for a tour and possible album. Morrison died in 1995. Upon their induction in the Rock and Roll Hall of Fame in 1996, Reed, Cale and drummer Maureen Tucker performed a song entitled "Last Night I Said Goodbye to My Friend," which was dedicated to Morrison. He was 63 and died from complications from a stroke-induced coma. Known as a legendary actor, Marvin also sang. Born in New York City, he studied violin when he was 7 a far cry from the villain roles he played early in his career, and the rough and tumble characters he played later on. 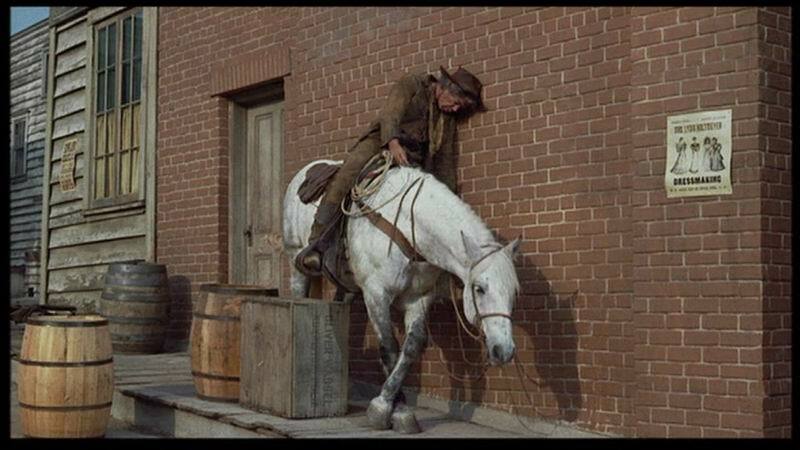 He is probably best known for the movies "The Professionals," "The Dirty Dozen," "Cat Ballou," "Ship of Fools," "Paint Your Wagon," and "the Man Who Shot Liberty Valence." 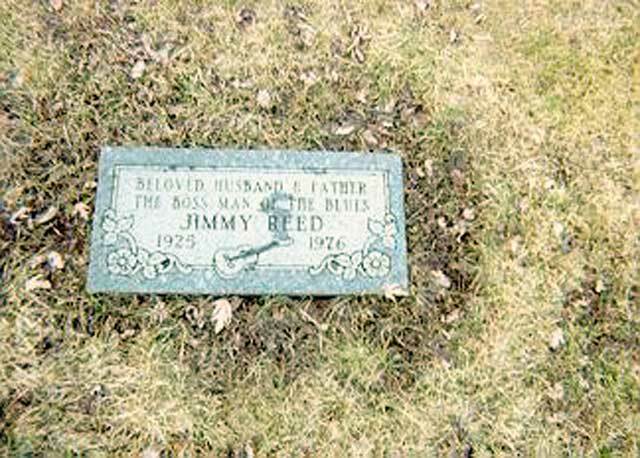 -- "The Man Who Shot Liberty Valance"
-- "The Ballad of Cat Ballou"
August 29: Blues guitarist and singer Jimmy Reed died on this day in 1976. He was 50 years-old when he died from respiratory failure. Born in Dunleith, Mississippi, Reed learned to play harmonica and guitar from his friend Eddie Taylor. He moved to Chicago in 1943 then was drafted, serving in the US Navy during World War II. When he was discharged in 1945 he moved back to Mississippi. 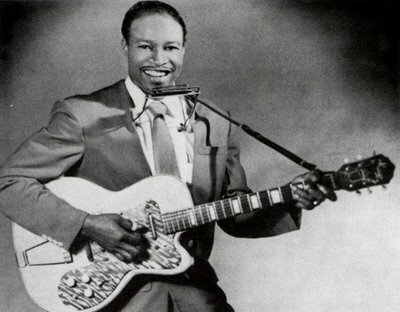 By the 1950s, Jimmy had established himself as a popular musician and joined the "Gary Kings" with John Brim. He signed with Vee-Jay Records and began playing again with Eddie Taylor and soon released "You Don't Have to Go", his first hit record. This was followed by a long string of hits. 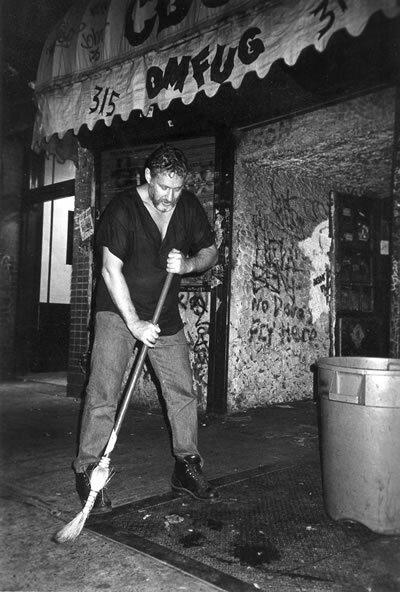 Jimmy's recordings of "Big Boss Man" and "Bright Lights, Big City" were both voted onto the list of The Rock and Roll Hall of Fame's 500 Songs that Shaped Rock and Roll and in 1991 he was posthumously inducted into the Rock and Roll Hall of Fame. 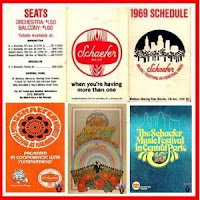 -- "You Don't Have to Go"
-- "Bright Lights, Big City"
August 28: Hilly Kristal, co-founder of the Schaefer Music Festival and the club CBGB died on this day in 2007. He died of lung cancer at the age of 75. 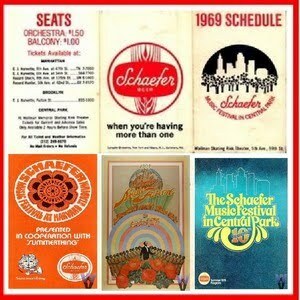 In 1968 Kristal, a club owner and promoter, co-founded the Schaefer Music Festival with concert promoter Ron Delsener; the festival took place every year until 1976 in NYC's Central Park and featured superstars from all music genres like The Who, Miles Davis, Chuck Berry, Bob Marley, B.B. King, Led Zeppelin, The Beach Boys, Frank Zappa, Ray Charles, Patti LaBelle, Ike & Tina Turner, Fleetwood Mac, The Allman Brothers, Kris Kristofferson, Curtis Mayfield, Bruce Springsteen, Aerosmith, The Doors and many other bands. 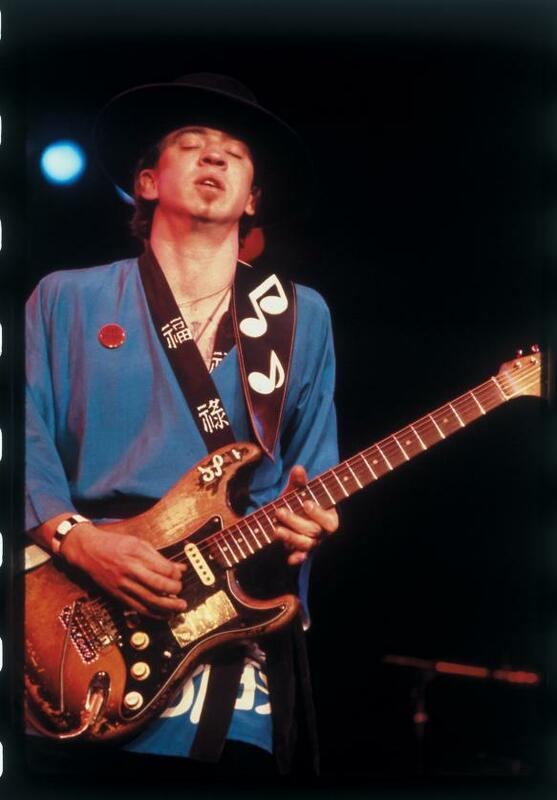 August 27: Stevie Ray Vaughan died on this day in 1990. The blues, country, rock guitarist, and lead singer and guitarist for the band Double Trouble was 36 years-old. He was killed with four others within seconds after takeoff in a helicopter crash. Stevie was inspired to play guitar by his older brother, Jimmie Vaughan. Major influences were Jimi Hendrix and Buddy Guy. With his band Double Trouble, Stevie made four successful studio albums and established a reputation as one of the foremost blues guitarists in the world. On February 22nd 2000, he was posthumously inducted into the Blues Hall of Fame. Stevie garnered 13 Grammy Nominations, winning 5. He also won several W. C. Handy Awards, during his lifetime and posthumously, including Entertainer of the Year and Instrumentalist of the Year in 1984. In 2003, he was ranked No.7 in Rolling Stone's list of the 100 Greatest Guitarists of All Time. 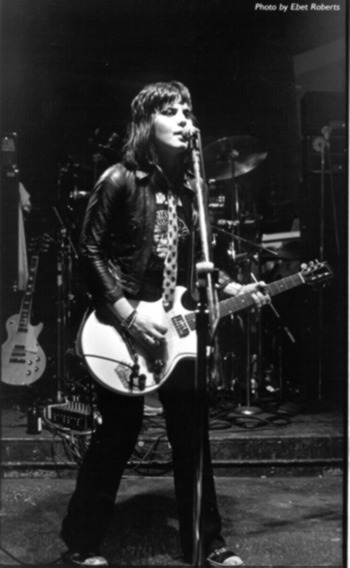 Classic Rock Magazine ranked him No.3 in their list of the "100 Wildest Guitar Heroes" in 2007. August 26: Prolific Rock songwriter Ellie Gaye - "The Kind Of Boy You Can't Forget," "Chapel of Love" - died on this day in 2009. She was 68 years old when she died from a hear attack. 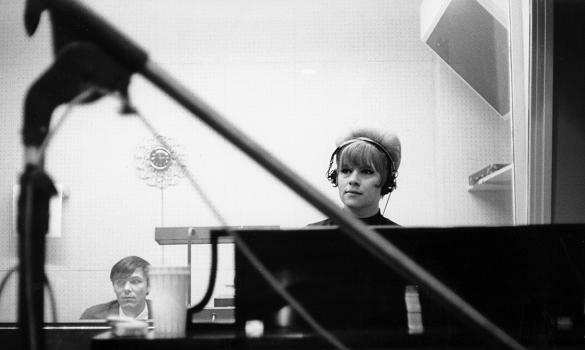 Gaye (born Eleanor Greenwich in Brooklyn), who along with her future husband Jeff Barry, first gained fame in 1960 when they wrote "Tell Laura I Love Her." Soon after they began writing and producing for Phil Spector's Philles label. In 1962 Ellie and Jeff married and before the end of 1963, Barry-Greenwich had scored hits with songs such as "Be My Baby" and "Baby, I Love You" (The Ronettes), "Chapel Of Love" (The Dixie Cups), "Then He Kissed Me" and "Da Doo Ron Ron" (The Crystals), "Not Too Young To Get Married" (Bob B. Soxx & the Blue Jeans), and "Christmas (Baby Please Come Home)" by Darlene Love. Greenwich and Barry also recorded singles and an album under the name The Raindrops, with Ellie providing all the female vocals through overdubbing, and Jeff singing backgrounds in a bass voice. Two of their songs hit the top ten; "What A Guy" and "The Kind Of Boy You Can't Forget." They wrote many other hit hits at this time including "Hanky Panky," "Do Wah Diddy Diddy," "Cherry Cherry," "Kentucky Woman," "I Can Hear Music," "River Deep, Mountain High" and many others. In 1967, Ellie formed Pineywood Music with Mike Rashkow, they worked with The Fuzzy Bunnies, Dusty Springfield, The Definitive Rock Chorale, The Other Voices, and The Hardy Boys. 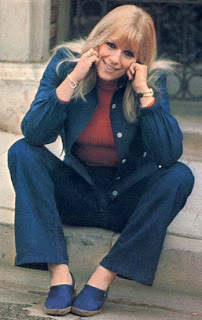 She went on to collaborate with other writers such as Ellen Foley and Jeff Kent as well as providing backing vocals on many hits over her long career. Ellie also worked and wrote songs for Frank Sinatra, Neil Diamond, Elton John, Cher, Tina Turner, Mariah Carey, Bette Midler, Celine Dion, U2, Twisted Sister, Hanson and many others. In 1984 she involved herself in a musical based on her life titled Leader of the Pack. In 1991, Ellie and Jeff Barry were inducted into the Songwriters Hall of Fame. Ellie's songs have earned her over 25 gold and platinum records and sales in the tens of millions along with over 33 BMI Awards. August 25: "Progressive Jazz" pioneer Stan Kenton died on this day in 1979. The bandleader, pianist, composer and arranger was still leading his band when he died at the age of 67 from a stroke. Stanley Newcomb Kenton, born in Wichita, Kansas, and raised in Colorado, then in California, began leading his own bands in the late 1930s and become famous in the mid-'40s with songs like "Painted Rhythm," "Intermission Riff" and "Eager Beaver." 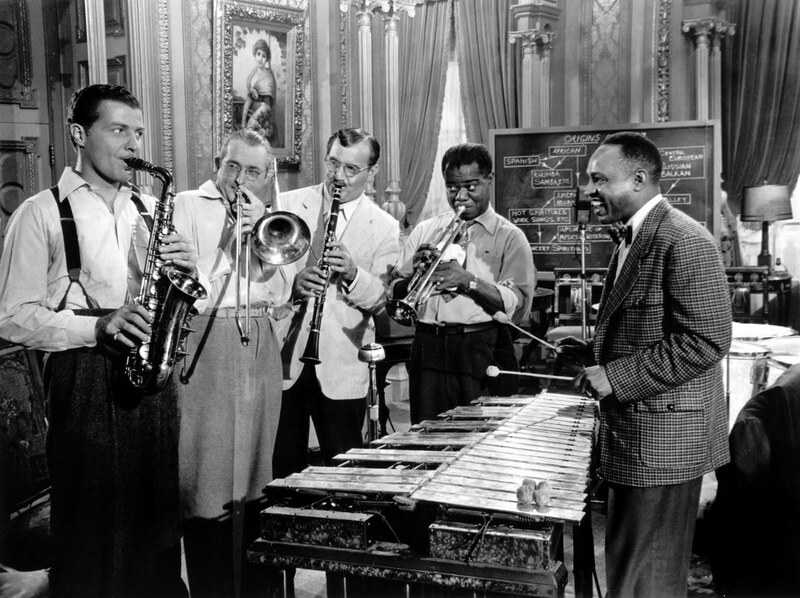 Calling his music "progressive jazz," Kenton sought to lead a concert orchestra as opposed to a dance band at a time when most big bands were starting to break up. In the mid-1940s, Kenton's band and style became known as "The Wall of Sound" - long before Phil Spector used the term to describe his music in the 1960s to describe his recording of artists such as the Ronettes and the Crystals. -- "Limehouse Blues - 2"